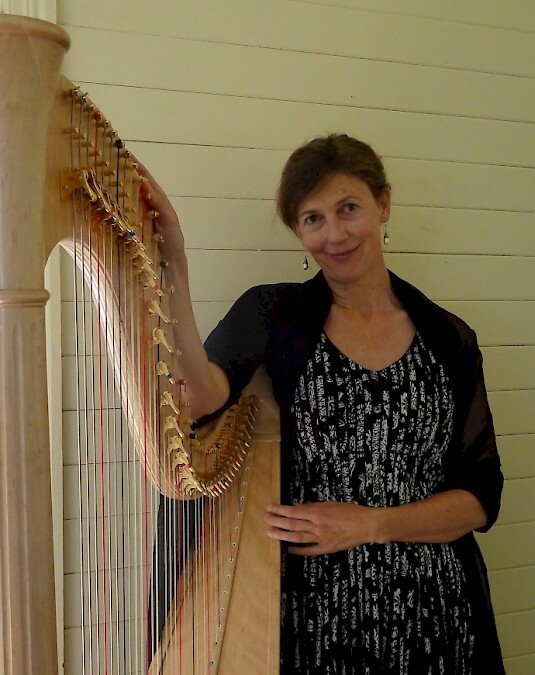 I specialise in playing beautiful harp music at events such as weddings, corporate functions, birthday parties and funerals in and around Sydney. I play a fine maple harp made by Tim Guster in South Australia. I love to share its rich, warm tone, playing repertoire ranging from medieval to modern styles, with a focus on classical and Celtic music. A graduate of the NSW Conseratorium of Music, my performing experience includes orchestral work, recordings, television appearances, radio broadcasts, and high profile corporate and private functions. Career highlights include being the solo guest artist of Victor Borge at the Sydney Opera House, and playing at the wedding ceremony of Bec Cartwright and Lleyton Hewitt also in the Opera House. Please email me to check my availability and obtain a quote.